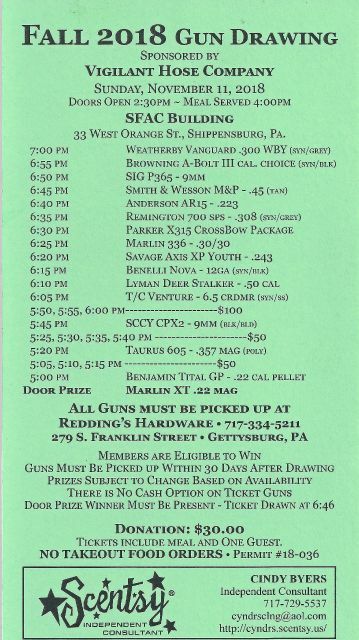 Sun, Sep 16th, 2018 8:41:00 am - Tickets are now available for our FALL GUN DRAWING. Sunday November 11th at the SFAC. Tickets are $30 and include 1 guest.